Highly sought after tri-level, loft style end unit. Two master bedrooms en-suite, plus a bonus room. Open concept main living area including living and dining rooms with bamboo floors, kitchen, 1/2 bath and laundry closet. Washer & Dryer included. Additional cabinets in the kitchen and new cabinets in 2 of the bathrooms. Attached 1 car garage with 220 V connection for car charger. Cat -5 is in all the rooms is connected to high speed internet fiber optic service provided by PAXIO. 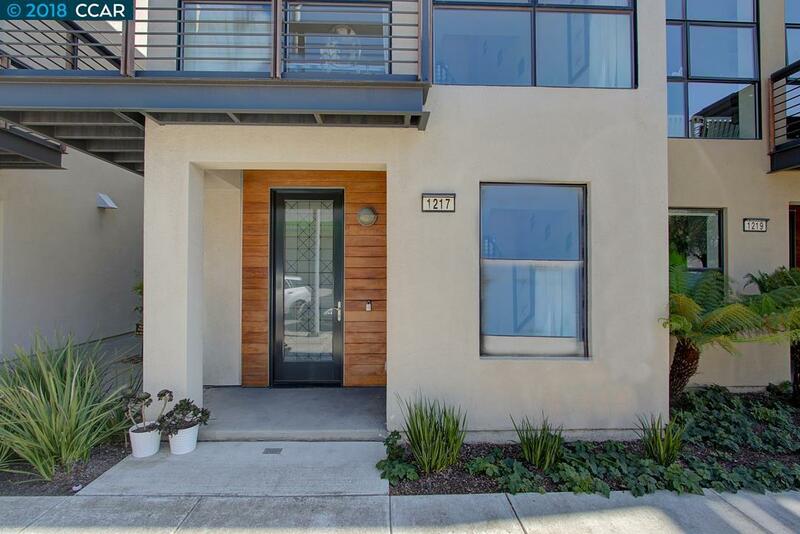 Great location, a commuters dream, with easy access to freeway, minutes from SF. Just a few blocks to Emery Go-Round (free with stop at MacArthur BART station), Amtrak, and AC Transit Trans-Bay Express to SF. Starbucks, Berkeley Bowl, City Sports Club, Public Market, Bay Street Mall near by.